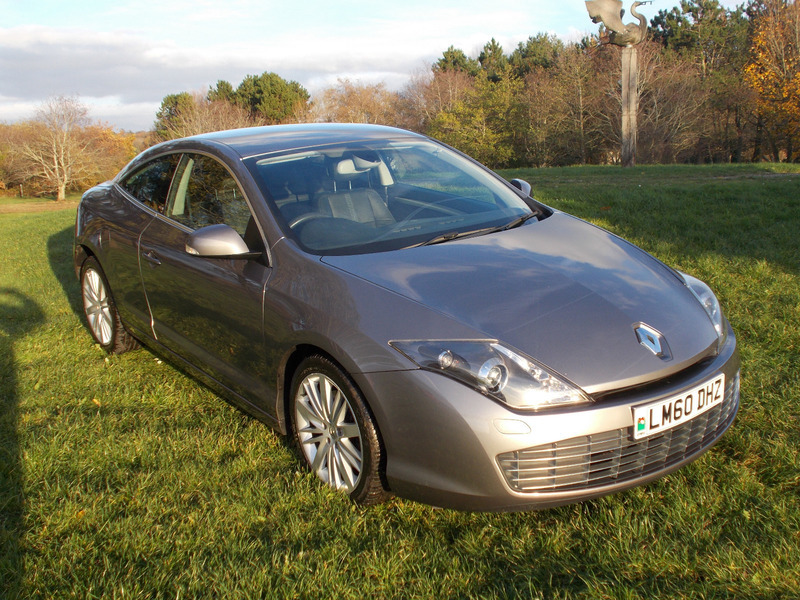 2010(60) Renault Laguna Coupe GT DCI 180 1995cc in silver, Full leather interior, remote central locking, key card with proximity unlocking and locking, with climate and cruise control with speed limiter functions, electric windows, mirrors, heated front seats. It has a full Bose stereo system which sounds great with aux input,and bluetooth connection, .As this is the GT version it has the stiffer suspension, 18" alloy wheels, four wheel steering and uprated 180bhp DCI engine which moves it along very nicely through the 6 speed manual gearbox. The four wheel steering is great and tucks the car in tight and precise around corners.Its covered 96000 miles and drives fantastic,this car is a real suprise package great preformance and good looks all for a really affordable price.